Big Savings on TriCaster 8000 and 460 with control surface, Advanced Edition software and much more! Starting now through Feb. 28th, 2017, NewTek is offering special pricing on the TriCaster 8000 and 460 with their respective control surfaces plus the Advanced Edition software and complimentary AutoLink for Panasonic PTZ software. 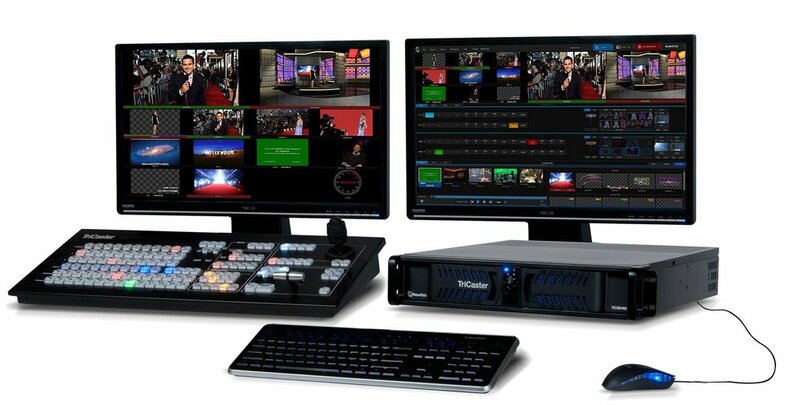 The TriCaster 8000 with the 8000 control surface, Advanced Edition software and Panasonic PTZ software costs $29,995.00, a savings of $7,000.00. The TriCaster 460 with the 460 control surface, Advanced Edition software and Panasonic PTZ software costs $17,995.00, a savings of $4,000.00. Have questions? Need more info on what comes with each package? Please contact Matt Drabick of DigiTek Systems at mdrabick@mindspring.com or call 919 790 5488.